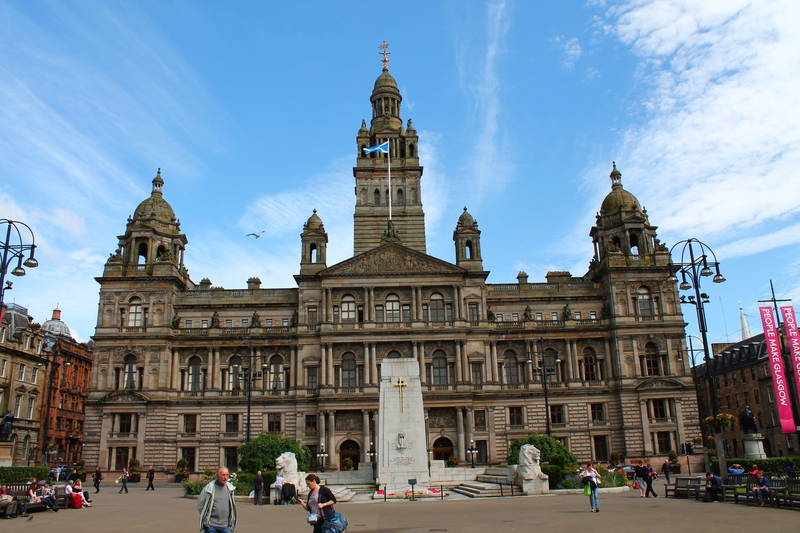 Glasgow City Chambers is a rather imposing building. Perhaps that’s the reason why it took me several months to pluck up the courage to visit. Well, not really. Several months to organise myself is more likely. However, it would seem that I am not the only one feeling a little nervous to step through the grand doors – guide Emma says that she is far more accustomed to showing around tourists, rather than locals. 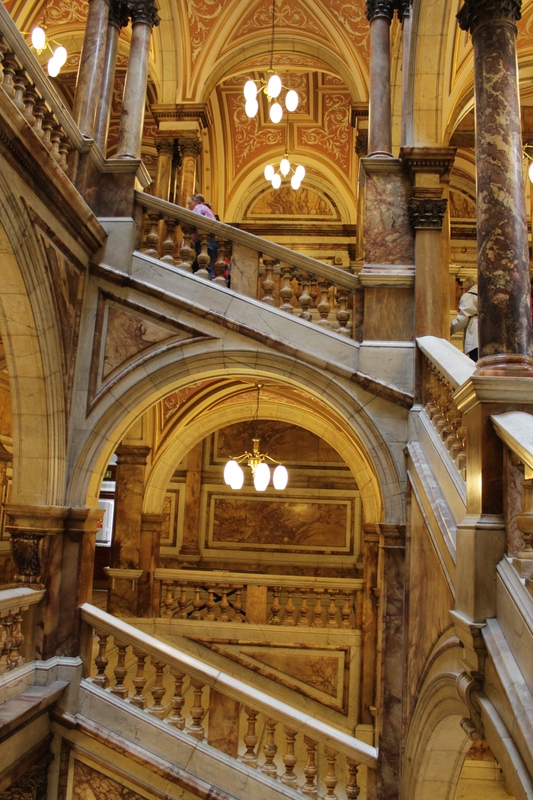 If this is the case, it would seem that I have found the the perfect example of the must-see hidden Glasgow attraction to go out searching for, and given its huge stature and prime George Square location (did I mention it’s free? ), there are really no excuses not to visit! Back in 1888, when the Chambers triumphantly opened for the first time, in the presence of Queen Victoria, no less than 600,000 people crammed in to the city to see the unveiling of this immense building. Glasgow’s current population is 596,550 people (thank you google), which puts this enormously vast crowd into a little perspective. Literally everyone who’s anyone was there. Today’s group of visitors is large enough to warrant splitting in two, but not quite reaching 1888 levels. ‘Please don’t wander off’ becomes a catchphrase of the day in an attempt to keep the group on track, and the tour begins with a turn up the largest marble staircase in Western Europe. 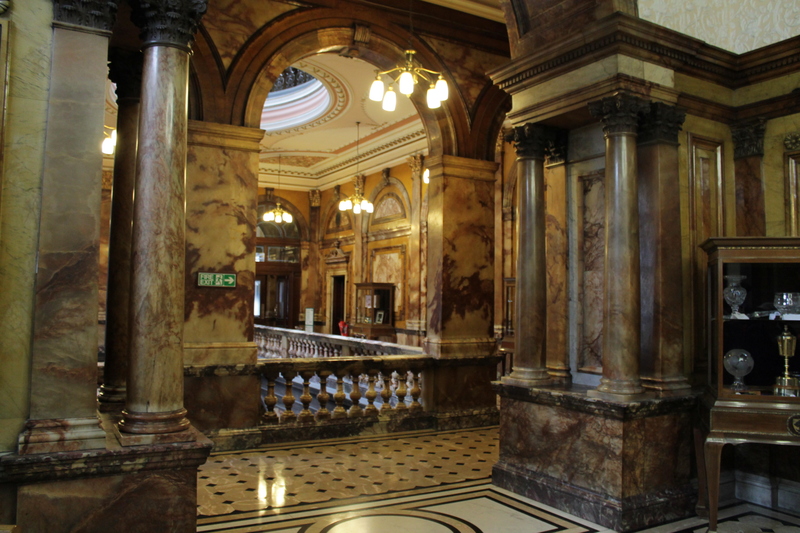 The result of a competition entry, the City Chambers architecture brings the grandiose Classical style to Glasgow in a big way. It’s easy to forget that the bustle of George Square surrounds these gold-leaf papered walls and fabulous electroliers. 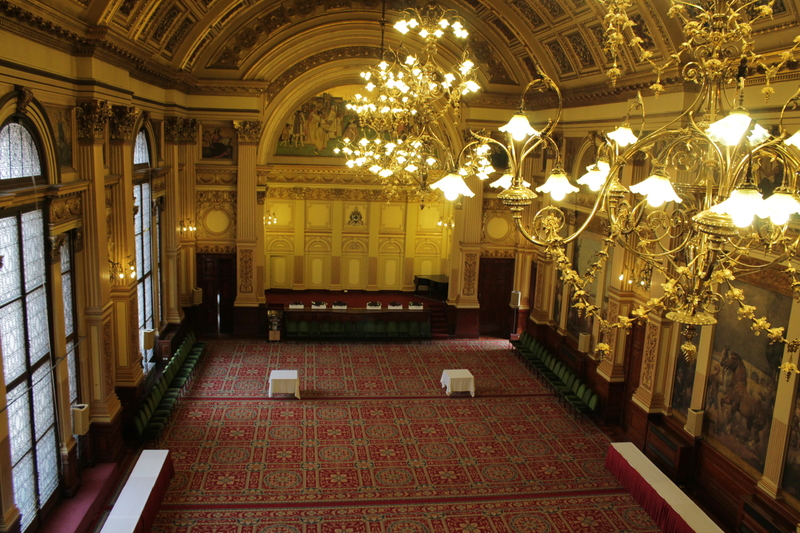 The Banqueting Hall, as seen from the Minstrel’s Balcony, is certainly fit to throw a great party. The walls, adorned with paintings by the celebrated Glasgow Boys which helps to bring the mind back to traditional images of Scotland’s industry, such as shipbuilding. 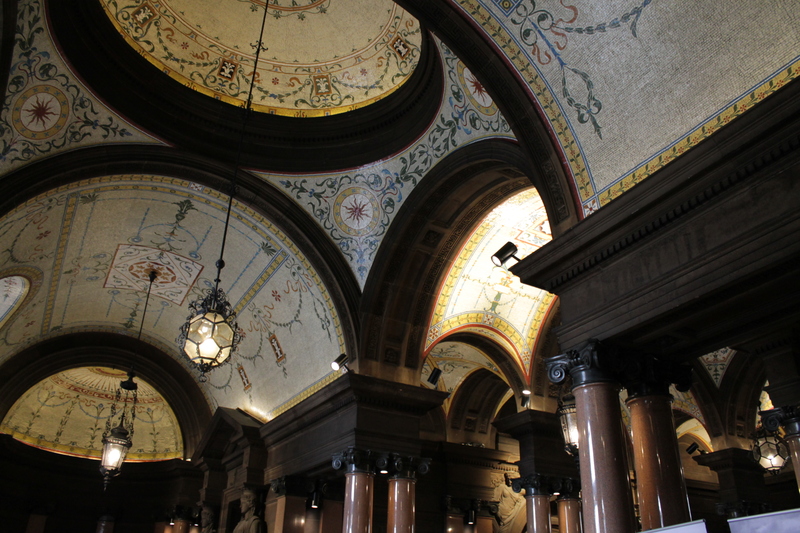 With enough imagination, you can walk along this hallway and pretend to be royalty/Beyoncé/insert icon here. 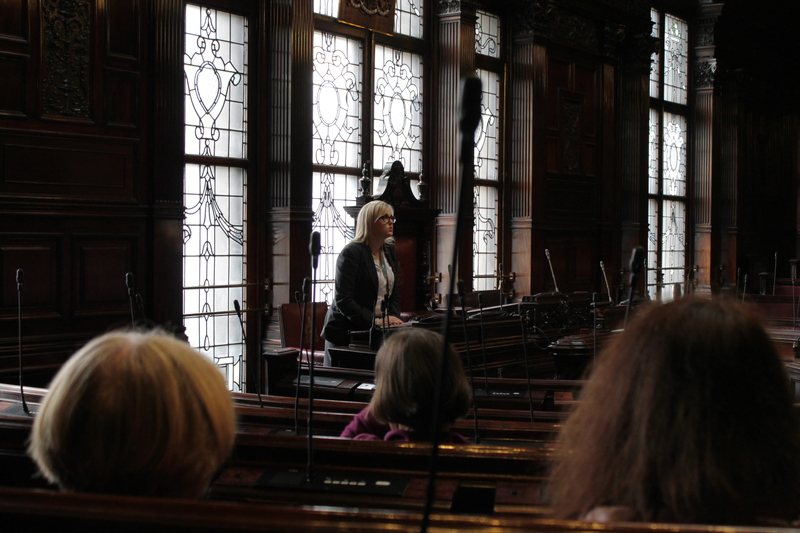 One of my favourite parts of the tour was the walk along the gallery of Lord Provosts. A bit of background from the guide had you examining the portraits more closely; there is definitely more than meets the eye where a certain few are concerned. I can’t speak for the gentleman, but the Glasgow weather depicted in the background is accurate to a T.
Tours take place twice a day, so there is plenty of opportunity to go and see these incredible chambers. You really get the impression that this building sprang from a desire to impress; indeed, Glasgow was considered the second city of the sprawling British Empire at the time this was built. It was dreamt, drawn and constructed for the people of Glasgow and to show the city’s biggest and best possible designs, and now it remains open for everyone to visit. Sure, the glamour might be a bit much, or you might find the oak panelling to be slightly OTT for your taste, but until you make the effort to go and look around, you will never know. The leather embossed wallpaper (which is up to 130 years old) and hand painted ceilings are a marvel, and the seats in the meeting room are unsurprisingly very comfortable indeed. For an afternoon (or morning; for those of you who are on the ball enough to make a 10.30am tour, I salute you) of history, culture and surprising stories, you need look no further. Get yourself along for a visit and don’t forget to come up with a rousing speech to bring the meeting room to life – the chairs have been bolted down after one too many was thrown at a controversial speaker, so have no fear and get it all off your chest! 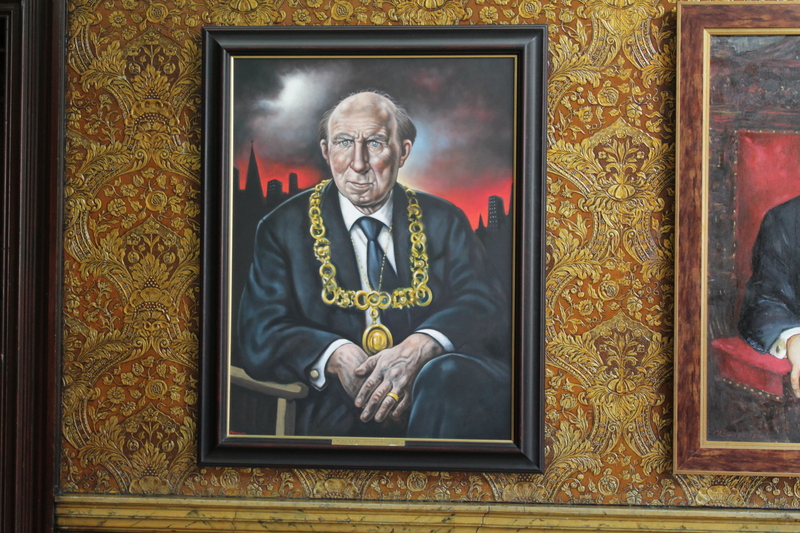 (or at the very least get a nice selfie in the Lord Provost’s chair – you know you want to).